When you purchased in a Chrysler you invested in quality. A quality vehicle demands quality service, and you want to make sure you find the best to protect your investment and keep it in great condition. Dempster’s Quality Car Care offers the best service and repair of Chrysler vehicles in the Hatboro, PA area. Give us a call on (215) 441-8002 to put our talented team and years of experience to the test. At dempster’s Quality Car Care, our dedicated technicians go above and beyond to exceed your expectations in customer service. From the moment you walk in the door until you drive away satisfied by the service you and your Chrysler can expect a superior car service and customer experience. Our knowledgeable and friendly staff are happy to answer any questions you may have. Whether you need routine maintenance or repairs for major damage, our team of certified technicians is committed to providing unparalleled care for your Chrysler vehicle. 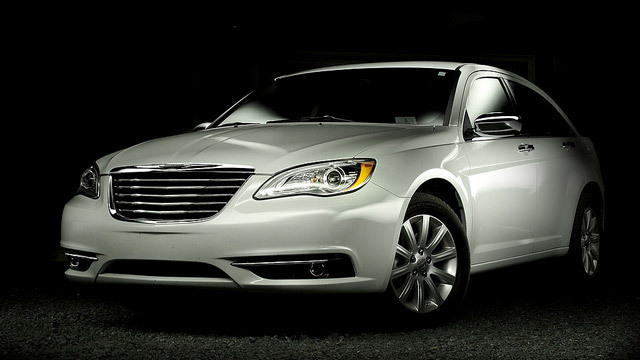 From the Airflite to the Firepower, and the Akino to the 700c, our team is experienced with all Chrysler models. We don’t just stop at getting the job done under the hood—we make sure that you and your Chrysler receive the best service available. If you have questions regarding your vehicle, or if you would like to make an appointment, give us a call on (215) 441-8002 or visit us at 16 E. Montgomery Ave, Hatboro, PA, 19040 to speak to our friendly staff about any concerns or questions you may have. We will be more than happy to help you schedule an appointment for your Chrysler’s next repair or service!